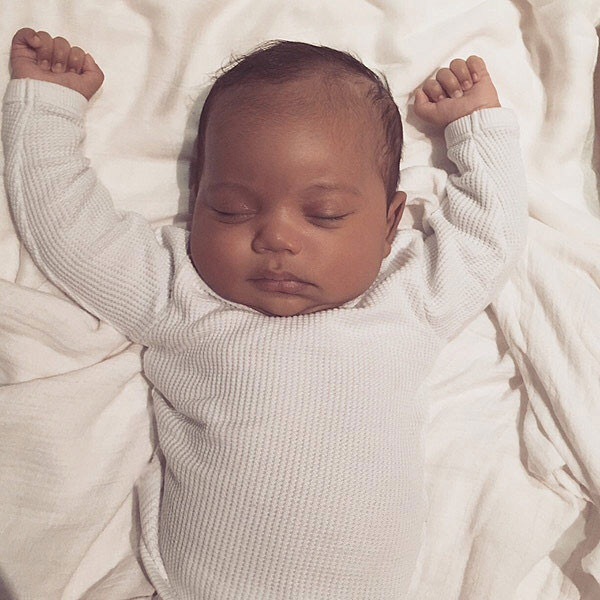 After weeks of waiting, we are finally blessed with a picture of little Saint West. Proud Momma, Kim Kardashian took to her website and also her app to share this adorable pic! Kim posted this photo of her son on her late dad’s birthday. In the post, she says that she shared it knowing that her dad would have loved to see his grandchildren. The first glimpse we got of little Saint was days after his birth, when Kim K posted a picture to her Instagram of Big sister, North and Saint holding hands. A photo of just their tiny hands had the media going crazy. Really? Hands? Can we finally be at peace now knowing what this cutie looks like? What do you think, does he look like his Mom or Dad? Or is it too early for those kind of questions? Two for one surprise! Rihanna drops Official video for Work!